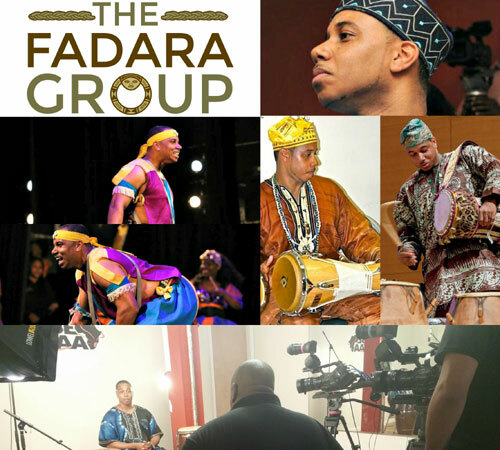 Chief Ayanda Clarke (aka Chief Ayanda) is an African American master percussionist, GRAMMY® Award-winning musician, arts educator, and lecturer. He’s been performing professionally since he was five and has performed or shared the stage with some of the world’s most revered percussionists and most loved artists, including the late Randy Weston, George Clinton, Erykah Badu, M’bemba Bangoura, and Somi. A glance at some of his performing credits in the United States include Carnegie Hall, Lincoln Center, Radio City Music Hall, Michael Jackson: 30th Anniversary Celebration at Madison Square Garden, The Late Show with David Letterman, Good Morning America, America’s Got Talent, the U.S. Open, Sesame Street, and many others. He’s also recorded and licensed music that has been featured on FOX’s So You Think You Can Dance. And in 2014, Chief Ayanda was a featured percussionist on the title track of Arturo O’Farrill and the Afro-Latin Jazz Orchestra’s major work, The Offense of the Drum. The project won a GRAMMY® Award that year: Best Latin Jazz Album. Background and Training :: Chief Ayanda’s first public performance was as a small child when he played at the historic Brooklyn Academy of Music (BAM) with the International African-American Ballet. His father, Chief Baba Neil Clarke, the legendary jazz percussionist, was his first teacher. He went on to learn from other trainers: M’bemba Bangoura, Abraham K. Adzenyah, the late Orlando “Puntilla” Rios, Souleymane Diop, and other giants in the field. Since then, Chief Ayanda has toured throughout North America, Africa, Asia, the Caribbean, Canada, and Europe several times over. His talents have led him to perform or record with Chief Bey, Orlando Rios, Randy Weston, Batoto Yetu, The Amistad Project, Alvin Ailey American Dance Theater, Forces of Nature, Asase Yaa African American Dance Theater, pop artist Jewel, and many others. Clarke’s research of the percussive arts (which include a variety of drums and bells, the balafon, and the shekere) is exhaustive. His range spans several musical traditions, including those of Guinea, Mali, Senegal, Ghana, Nigeria, Angola, Cuba, Brazil, the Caribbean, and of African Americans. After more than thirty years of deep study, immersion, and training, he’s emerged as one of the most highly regarded percussionists of his generation, unique in his ability to cross every musical genre. For his talent and devotion to African music and traditional culture, he’s been exalted by his juniors, peers, and elders alike. Just as important, he is respected as a man of good character and sound wisdom. The media has taken a keen interest in him as well. Chief Ayanda has been featured as a “Black New Yorker of the Week” in the New York Amsterdam News and has been a featured guest in local blogs, television shows, and podcasts throughout New York City, across the nation, and in Africa. Visionary Business Leader and Institution Builder :: A business owner who is passionate about community wellness and development, Chief Ayanda founded THE FADARA GROUP LLC. By intertwining music, culture, and spirituality, the business organization serves the wholistic needs of its constituents. Its main offerings are True To Our Native Land, a cultural appreciation program and Integrated Wealth Alliance (IWA), a network of esteemed healers and practitioners from various disciplines. Clarke is also co-founder and musical director of Asase Yaa African American Dance Theater, the Bessie-nominated company of the Asase Yaa Cultural Arts Foundation (a 501c3 organization). He is also founding partner and musical director of Palms Down, Inc., a percussion ensemble. Through Palms Down, he’s performed and co-produced music that was licensed for Elysium, the feature film starring Matt Damon and Jodi Foster. Arts Educator & Lecturer :: Chief Ayanda’s view of humanity is informed by the best of two worlds: Formally, he graduated from the prestigious prep school, The Dalton School and then from Wesleyan University with a B.A. in Music (where he also completed coursework for his M.A. in Ethnomusicology). At home, the Brooklyn-born New Yorker was raised by devoted parents who anchored him in African philosophy and values from the day he was born. “Teaching is an honorable vocation where one acquires skills and credentials to produce successful results. Being an educator, however, is a journey that’s focused on life-long learning and facilitating personal enlightenment for all who seek it. At my core, I’m an educator,” says Chief Ayanda. Clarke teaches public and private students (children and adults) throughout the New York Tri-State Area. 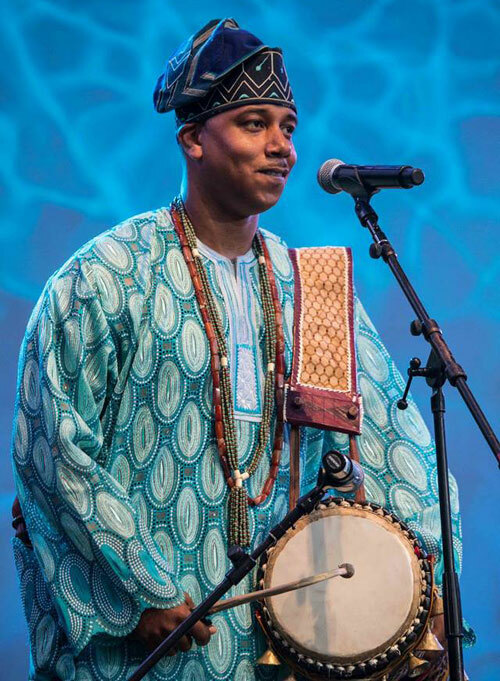 He also lectures regularly on African culture and the percussive arts at national and local institutions, including at the American Museum of Natural History, Hofstra University, Yale University, Princeton University, and many other spaces. Spiritual Health Counselor :: Chief Ayanda is trained and sanctioned to help individuals from all walks of life become more spiritually balanced. For nearly 20 years, he has served as a spiritual health counselor to clients all over the country. He’s guided countless clients based on traditional African spiritual principles and practices that have proven highly effective for hundreds of years.. In 2016, sponsored by his mentor Chief Agbongbon Fakayode Faniyi, Ayanda Clarke was installed as a chief in Osogbo (Nigeria). The council of elders and high priests granted the position to Clarke based on his decades of unwavering commitment to Africa. At the public ceremony for the chieftaincy, Clarke was, for the first time, presented as Chief Ayanda Ifadara Clarke, Ajibilu Awo of Osogbo (Osun State, Nigeria). It is noteworthy that the ancient City of Osogbo is honored globally for its preservation of traditional African arts and culture. In 2005, it became a World Heritage Site landmarked by the United Nations Educational, Scientific and Cultural Organization (UNESCO). Chief Ayanda is charged with continuing his work in uplifting traditional African culture, and doing so with a special focus on young people who are exploring their talents and contributions in the world.